Pocket Folders Fast, an Omaha, Nebraska-based print service provider stands out from the crowd in the presentation folder market with two J Press 720S presses, from FUJIFILM North America Corporation, Graphic Systems Division. 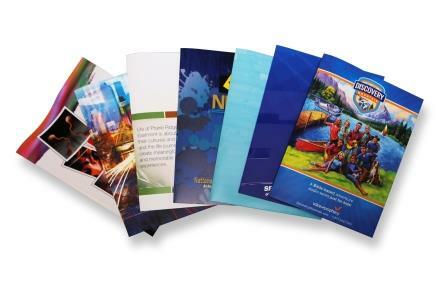 Pocket Folders Fast is a division of a broader group of companies, Wright Printing and Barnhart Press. Being a commercial printer allows this group of companies to provide services to a broad range of clients, including the niche of pocket folders and short-run digital packaging. 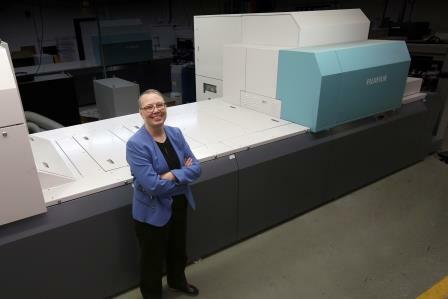 Meeting the needs of their clients was a driving force in their investment of not one, but two Fujifilm J Press 720S’s. With a half-size format and a production speed of less than one second per sheet, The J Press 720S opens up new prospects for any short-run, general purpose commercial print; for a couple sheets or several thousand. The J Press 720S allows PSP’s to compete for more of their customers’ branding business by dramatically lowering operational costs and reducing turnaround times – all while boosting offset-quality color consistency throughout the run. Starting this December, Pocket Folders Fast is launching a new division specifically for short-run folding cartons. Pocket Folders Fast has a national client base, and they are a frequent exhibitor at industry trade shows across North America. Resource savings, Labor savings, and increased output with the J Press 720S. Check out the all new ‘Owner Perspectives’ J Press 720S video, featuring Pocker Folders Fast.